to acknowledge a few of the Highlights of 2017. A spectacular rendition of this classic performed by the 2017 Competitive team of 86 dancers! This year’s team received in excess of 100 overall awards and numerous scholarships. Best Costume Award was presented to the ballet routine “Elements” as well as Top Choreography Award for the routine “Sounds of Silence”. Well done to the team, once again your hard work has paid off! 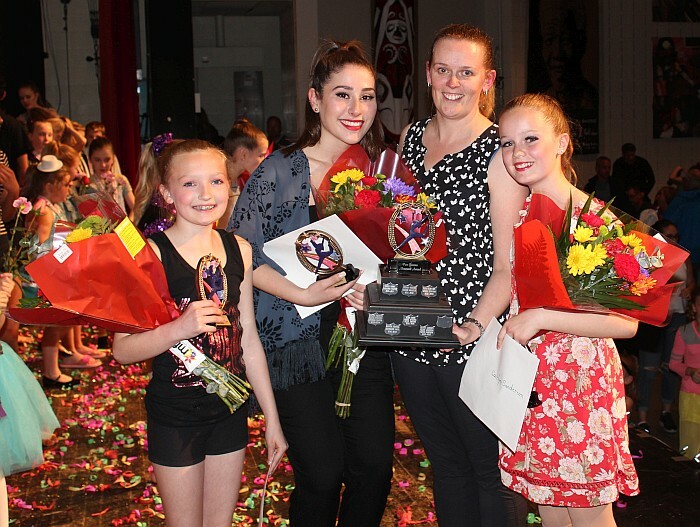 Every year Sequins Plus generously donates two awards to be presented to dancers that the staff feel are deserving. This year’s recipients are Kennadie Soulliere and Shae MacNeil. The Pino Gravina award was created in memory of Miss Jennifer’s late husband. It is awarded every year to 2 – 3 students who have worked hard, showed consistently good work ethic and determination – qualities that exemplified who Pino was as a person. The 2017 recipients of this award are – Claire Anderson, Olivia Lazzaro and Caitlin Sanderson. Anastasia Argirou, Alexandra Argirou, Emma Budd, Sarah Brady, Lena Bunn, Kirsten Franck, Jaleah Graham, Cala Gulati, Tristynn Kerr, Kiara Lafontaine-Gunn, Bronwyn Maebrae, Audrey Mitchell, Thalia Riddolls, Amel Rizvi, Eve Schmeichel, Malaia Seymour, Jahlissa Smith, Isabelle Smythe, Elin Soulliere and Ella Windsor. Alexa Campkin, Bianca Cudel, Ava De Sousa, Elyse D’Souza, Brenden Elliott, Peyton Hicks, Kate Hooftman, Shaza Iqbal, Alexa Johnson, Lena Kassim, Lia Kavelman, Lily Loder, Andrea Makris, Ella Martin, Aiden McConnachie, Cole McConnachie, Amy McKenna, Senay Pushman, Emily Romeo, Charlotte Rynbeek, Hannah Spence, Rya Schwass, Riley Uiga, Zoe Warren, Tianna Wilkie and Toni Belle Williams. 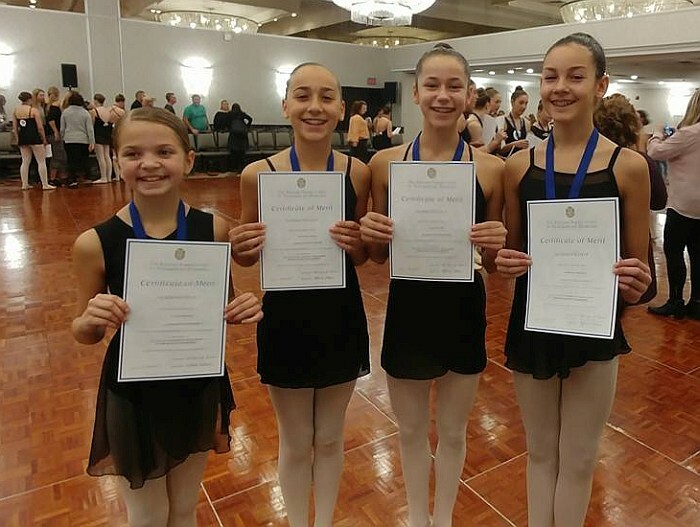 Tap Division – Hailey Barrett, McKenzie Carter, Sarah Dover, Julia Everitt, Julia Gravina, Natalie Malyjasiak, Jessica Maracle and Caitlin Sanderson. Congratulations to Azaria Hoad and Kiera Smith. 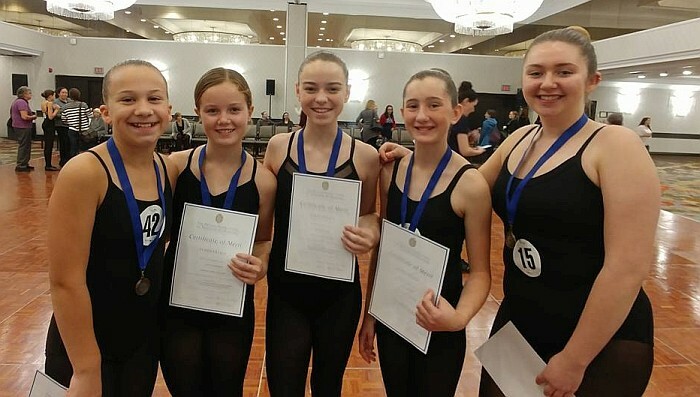 The girls auditioned and were selected to represent Canada in Germany as part of Team Canada. 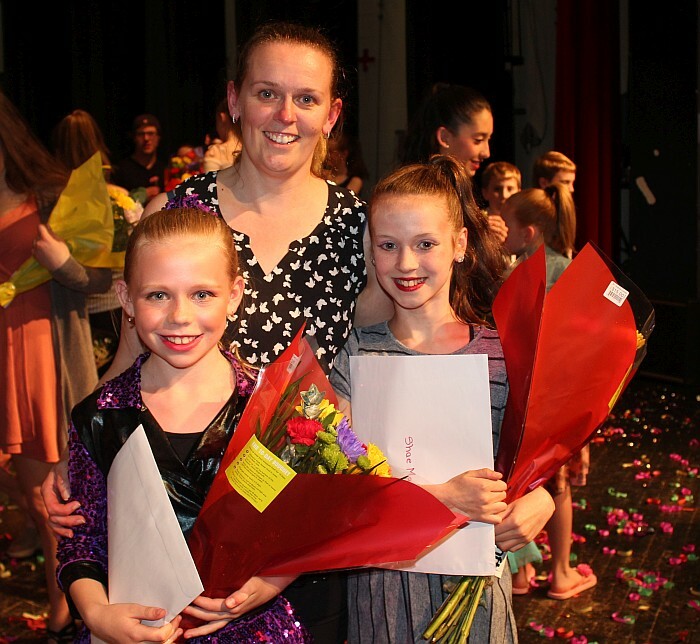 The girls were part of the Children’s tap formation, children’s small group and a duet. 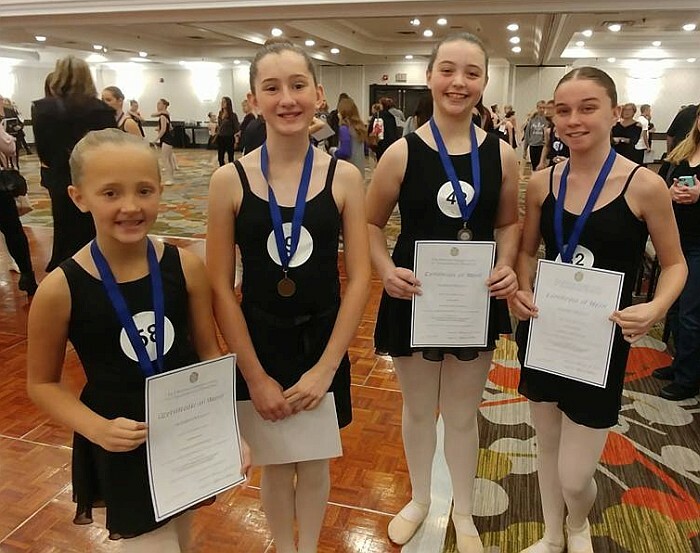 Children’s tap formation ranked 5th overall – well done ladies!! The JAM families generosity never ceases to amaze me. Numerous boxes of food and toys were dropped off to be donated to the Durham Regional Police Food & Toy drive. Couldn’t be prouder of how thoughtful our JAM families have been. Thank you to everyone who has supported us in the cause. 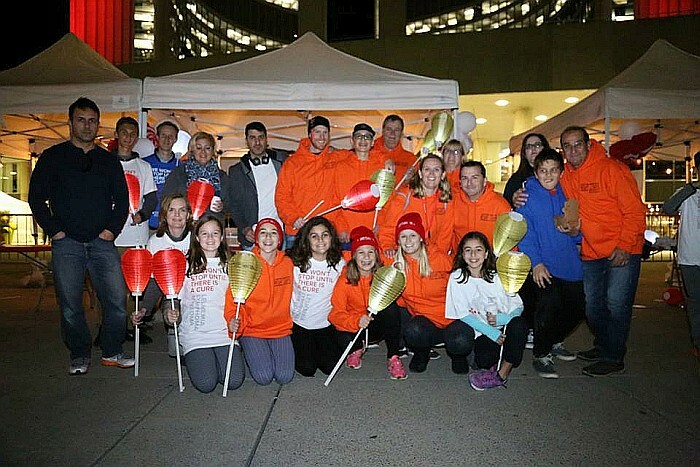 For the 10th consecutive year “Stallion Survivors” have participated in the Light the Night Walk for Leukemia & Lymphoma. We walk every year in memory of Miss Jennifer’s late husband – Pino Gravina, and in support of all those currently battling this disease. This year we again raised over $15,000, making our total to date in excess of $150,000….Pino would be so proud of everyone for this accomplishment. We couldn’t do it without everyone’s love and support……thank you for helping us make a difference. © 2007 - 2018 Jennifer's Arts in Motion. All rights reserved.